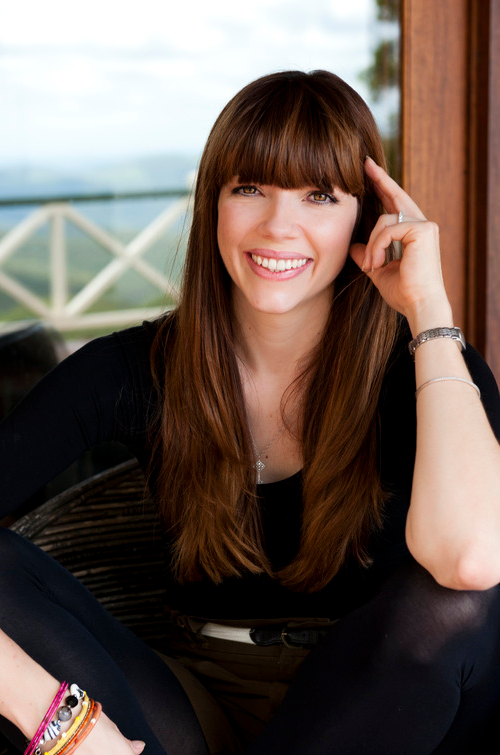 Kate Morton was raised in Queensland, Australia. While she has degrees in English Literature and Dramatic Art, she has chosen to pursue a doctoral degree. Kate and her family now live in the Brisbane area. Kate can be found on Facebook and her website. During a summer party at the family farm in the English countryside, sixteen-year-old Laurel Nicolson has escaped to her childhood tree house and is happily dreaming of the future. She spies a stranger coming up the long road to the farm and watches as her mother speaks to him. Before the afternoon is over, Laurel will witness a shocking crime. A crime that challenges everything she knows about her family and especially her mother, Dorothy—her vivacious, loving, nearly perfect mother. Now, fifty years later, Laurel is a successful and well-regarded actress living in London. The family is gathering at Greenacres farm for Dorothy’s ninetieth birthday. Realizing that this may be her last chance, Laurel searches for answers to the questions that still haunt her from that long-ago day, answers that can only be found in Dorothy’s past. Dorothy’s story takes the reader from pre–WWII England through the blitz, to the ’60s and beyond. It is the secret history of three strangers from vastly different worlds—Dorothy, Vivien, and Jimmy—who meet by chance in wartime London and whose lives are forever entwined. 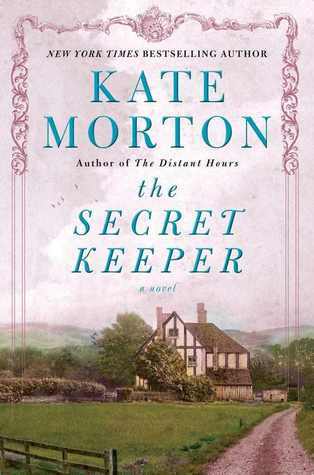 The Secret Keeper explores longings and dreams and the unexpected consequences they sometimes bring. 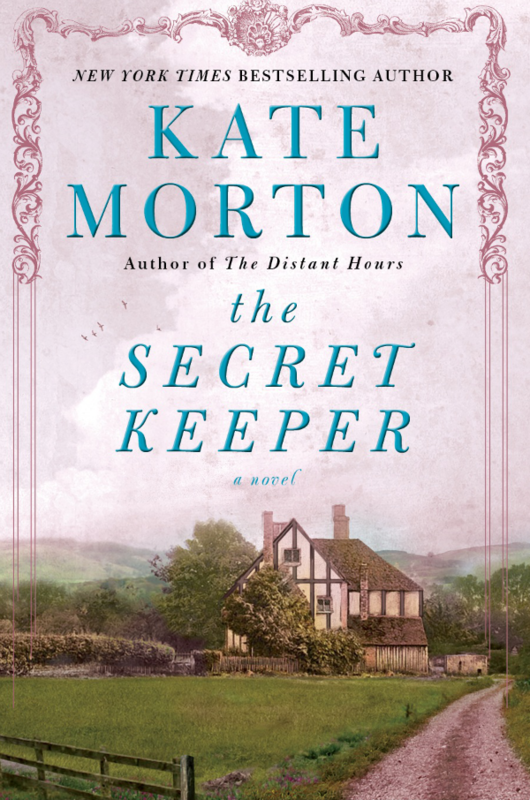 It is an unforgettable story of lovers and friends, deception and passion that is told—in Morton’s signature style—against a backdrop of events that changed the world. The Secret Keeper starts out with a teenage Laurel in the 1960’s being a, let’s face it, typical teenager. She’s hiding out in the treehouse during her baby brother’s birthday and contemplating sneaking out to meet her boyfriend. Laurel thinks nothing of seeing a stranger coming up the lane, it is the 60’s after all, and she thinks even less of her mother bringing her baby brother up to the house for a forgotten cake knife. However, what her mother does next will mar the already tumultuous relationship between a teenage daughter and her mother. We find out that Laurel soon after leaves the family farm and moves to London and in 2011 she’s a famous actress. However, she still remembers what her mother did back in 1960 and she’s determined to find out WHY. As Laurel starts to put the pieces together of Dorothy’s life and her friendship with a girl named Vivien during the 1940’s. While Laurel is piecing things together in 2011, we the reader, are taken back to the 1940’s and we see how Dorothy’s life starts in Conventry, where much like Laurel, she feels that she doesn’t fit in with her family. Dorothy runs off to London with her boyfriend, Jimmy, and gets a job as a Governess for a wealthy lady. Overtime you start to realize that Dorothy has a sense of entitlement where she makes things bigger in her mind than they actually are. As the story goes on you start to feel for Jimmy, I mean really feel, and dislike Dorothy. However, the absolute BEST part of the book is right before the end. The twist that this book has is out of this world! I totally did not see it coming and I plan on rereading the book just for the twist. YOU should buy and read it just for the twist! To purchase this book, click here. If you liked this book review make sure to check out my others by clicking here. Subscribe via email to the weekly newsletter. Each Monday you will receive a newsletter that highlights the posts on Southeast by Midwest and any videos uploaded on Southeast by Midwest Beauty. Once I start reading a book, I generally will finish it (even if I hate it.) I’m glad you ended up loving it! I’ll have to check it out! Thanks for the book recommendation! i’m always on the search for books to add to my collection. This sounds like a great mystery. I will get it on my list to read. Yay! Glad it ended up being a great book! It’s funny because I’ve felt the EXACT same way about a handful of books. You just know within the first 20 pages that you’re NOT going to be interested and then boom. All the sudden, it’s exciting! I love reading. Books are a passion. I’ve always wanted to be a writer so it seemed like a perfect fit to get paid to do book reviews. It got old quick because some books just aren’t that great and with a time commitment I couldn’t force myself to read something not worth my investment. So, I gave my review as is. Then, I started to add a few publishers who do not pay me for my post. It got overwhelming and I had to cut back so I would be able to read for myself again. I am not a huge fan of history pieces. Some of them I can usually push though, nut most of them, not so much. I try to let publishers do that so I am not forced to push through. History pieces are definitely hard books for me to get through. Thank you for sharing your honest review with me! Sounds like a really good book! I will have to put it on my reading list! Thanks for posting! my husband has read books like that before – can’t stand the characters at all then BAM! It draws him in and he falls in love with the book. I cannot wait to read this. I plan to get it as soon as I finish my other two books. My sister and I run a book club, and this is on our list. Always looking for a great new read! This looks like it could be next! Sounds really good. The books sounds great. And wishing the author well on her doctoral studies! Glad it ended up being a worthwhile read. It’s hard when a book starts slow. Sounds like an awesome book! I would totally read this one. That sounds like another great book to read. Another one I’ll put on my list. This sounds like a great book. You did a great job on the review too! This looks like a great summer read. I love a good mystery novel! You always have great book reviews! This one sounds interesting! Thanks for your honest review. I am looking forward to reading this book! Oh, I really like the sound of the story line. I have to check this book out. This sounds like a great and mysterious book! I bet my daughter would like it! Great review! I am intrigued by this book. I will definitely check it out. I’ve never heard of this author before. It sounds like a very interesting book. I am glad you stuck this one out! I love it when I stick with a book that starts a bit slow, and end up really enjoying it. That sounds like a book I’d love to read. Thanks I’ll put it in my tbr pile! This book certainly sounds interesting. I liked reading your post about the book and the author. Sounds like it ended up being a good book overall. I’m going to take a peek at it at the library. I haven’t read a book in forever. I would definitely check out this book if I was reading on a regular basis. Thanks for sharing. Now that the fall is coming, I am looking for books to read. This sounds appealing so I am adding it to my wishlist.